As you land and get yourself off the harness, an array of photographers will be waiting to show you your videos and photographs they captured during your flight, obviously without your consent. We bought our videos and pictures which were burnt onto a CD, hopped on to our steeds and rode away to a temple close by. We were told there’s a Shiva temple we must visit and the best way to reach is by riding a horse than a hike across a rough terrain. I felt really sorry for our steeds, to be taking our weight and walking through a really rough terrain full of boulders but otherwise, it would have been impossible for us to trek all the way up and back. It took us a good one hour or maybe more to reach the foot of the hill where a temple is constructed with many presiding deities. We thought that was it and were not much impressed until we saw that we had to climb a flight of steps up the hill to reach the Shiv temple. During our ascent, we could see frozen snow on the sides of the steps. 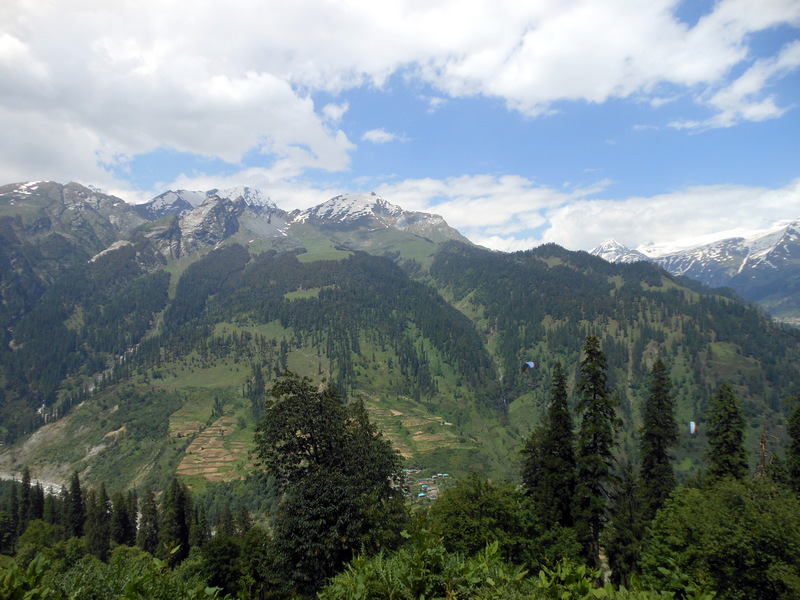 The first place in Manali where we could see snow! Words can’t do it justice to the experience we had on reaching the top of the hill (which looks more like a cave) which houses the linga. It is a roofless temple, where a linga is situated right beneath a waterfall. This temple is also called as Anjani Mahadev as it is believed that Anjani Devi, mother of Hanuman meditated here. In Hindu mythology, Lord Shiva is considered as ‘Abhisheka Priya‘. Abhisheka is purification done by pouring water over the idol of the deity and Priya in this context means one who loves. The linga beneath a waterfall, for me, looked as if nature is offering the Lord what he loves the most. It seems in winter the linga is completely frozen and tourists reach there in scores for Shivrathri pooja. 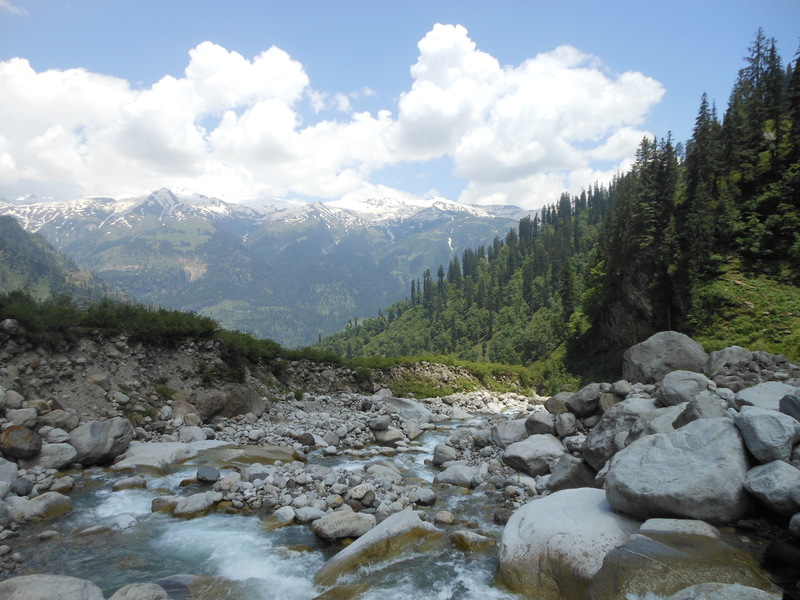 It wouldn’t be an exaggeration to call this a mini Amarnath yatra if you are visiting in winter. Completely thrilled and satisfied with our little adventure, we headed back to take the rope way to Mt. Phatru. I have taken ropeways in Singapore and Malaysia before but this was my first time in my own country. 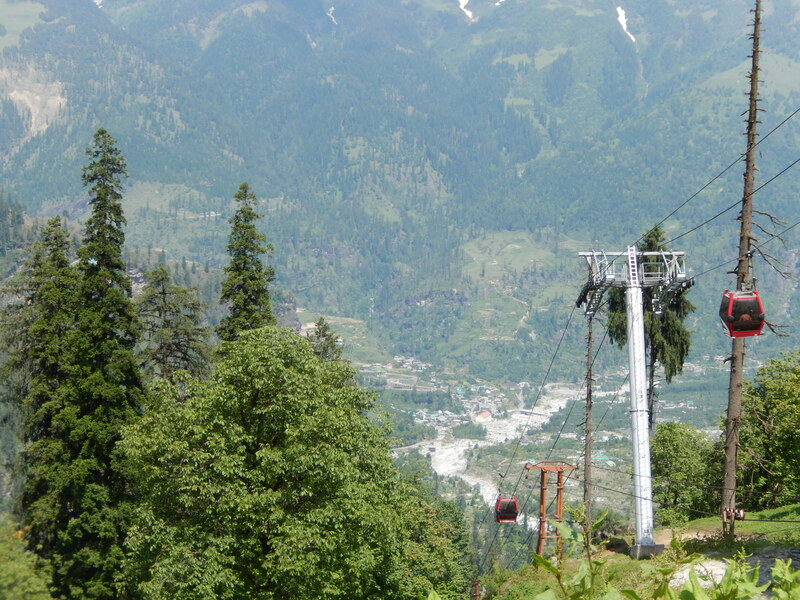 The ropeway in Solang offers enchanting views of snow-capped mountains, lush green meadows, thick conifer forest. We even saw maple trees here. Until now I didn’t know we had maple trees in India However we weren’t lucky enough to see the iconic red maple leaf as it was summer and the leaves were lush green. There are eat-out joints on top of the mountain where were finished our lunch and rode the cable car back. 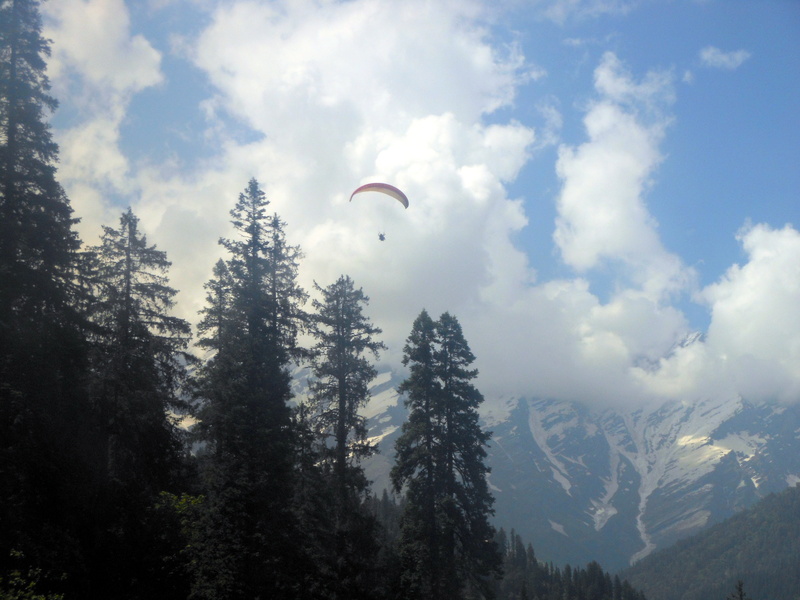 Solang Valley was my favourite of all the places/ things I did in Manali. 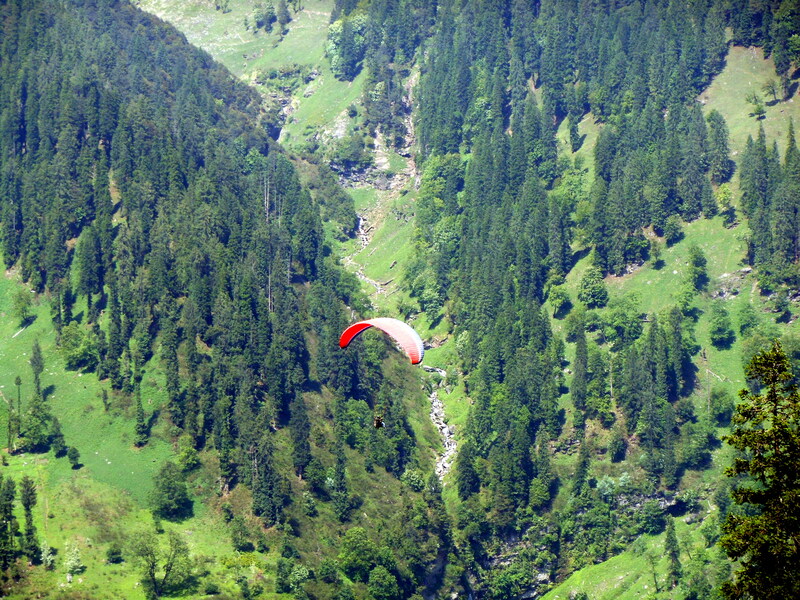 Don’t miss this place whenever you plan to visit Himachal Pradesh. 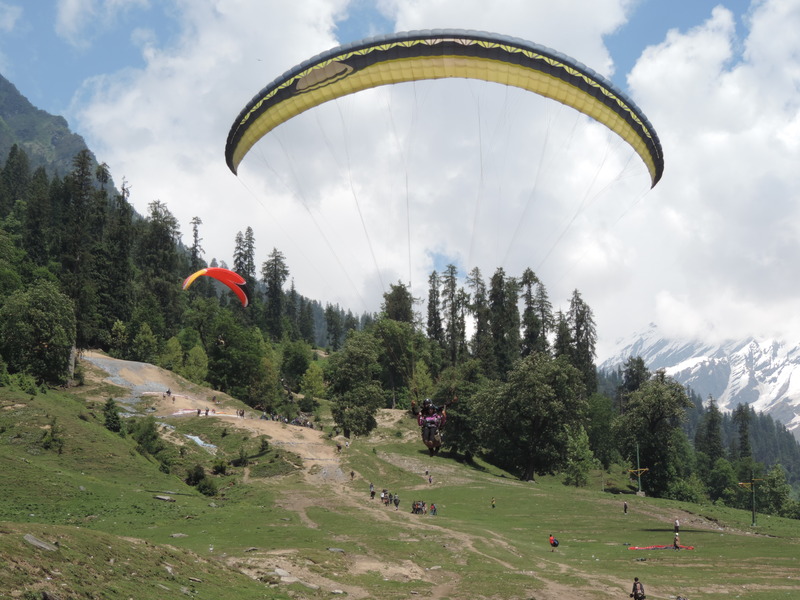 The winter skiing festival is organised here so you have all the more reasons to add Solang to your travel bucket list. 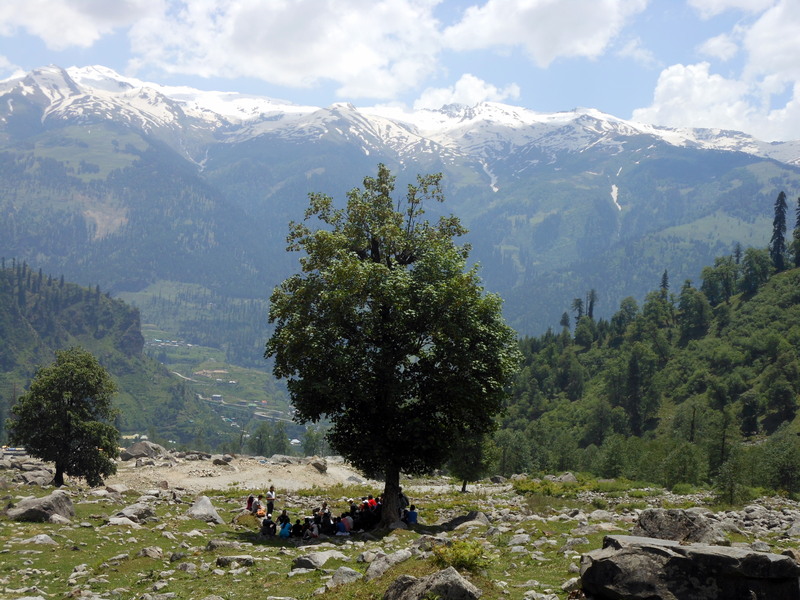 What an amazing trek. Wish your pictures were bigger though.